William O. (Bill) Smith advanced classical clarinet technique and at the same time mastered a deliciously swinging style in his 55-year collaboration with Dave Brubeck to become one of the world’s great clarinetists. He performs his captivating compositions and improvisations solo and with longtime friends: trombone master Stuart Dempster and clarinetist Jesse Canterbury. 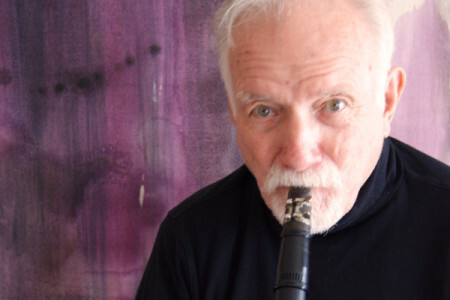 The program includes his Five Fragments for Double Clarinet (1977), Paris Imp (1996) for clarinet and improvising computer, Sumi-e (2000) for clarinet and computer-transformed sounds, and improvisations in assorted duo and trio combinations. Co-presented by Earshot Jazz Festival & Nonsequitur.